Who is interested in studying stomata in Isoetes ? Researchers looking for an interesting subject in the framework of studies on stomata may know that there are only a limited number of studies carried out on the Isoetopsida (Quillworts). It would be nice if some colleagues could pick up this subject and enrich our knowledge. Posted on February 3, 2017 Categories ISOETOPSIDA (Quillworts)Leave a comment on Who is interested in studying stomata in Isoetes ? Few studies have focused on comparative morphological variation and almost none involve stomata density. The goal of this study is to document the variation in characteristics and morphology of stomata of plants grown submerged, and to understand the adaptability of the genus Isoetes in changing environments. 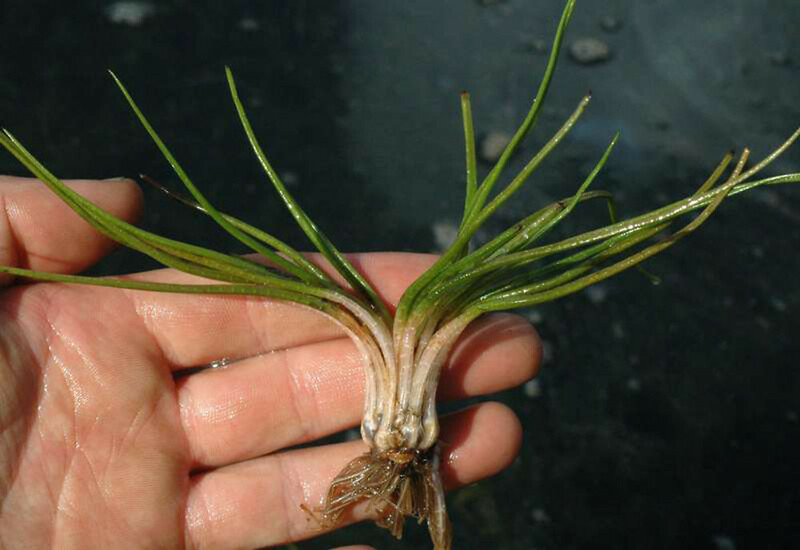 Forty individuals of Isoetes hyemalis were planted in a 1:1 mixture of peat moss and sand after removing all leaves; 20 were planted in terrestrial conditions and 20 in submerged conditions. Plants were divided into ten groups of four. Each individual was planted approximately 3 cm apart from each other in five containers of volume 785 cm3 under terrestrial conditions, and in five containers of volume of 5,280 cm3 under submerged conditions. If morphological variations of stomata occur due to environmental conditions, these results could suggest that stomata cannot be used for taxonomic purposes.